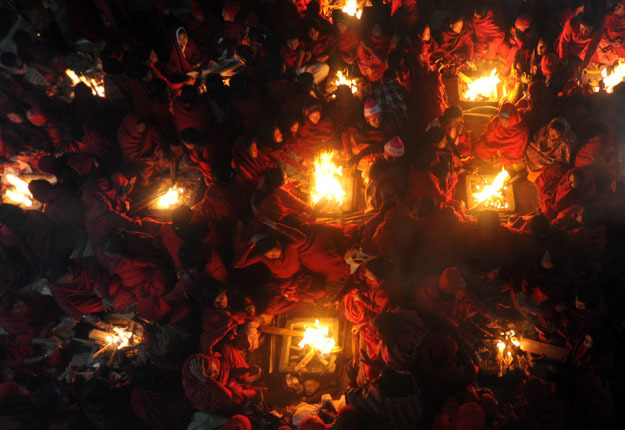 Nepalese Hindu women warm themselves up beside fires after taking a bath in the holy Shali River on the outskirts of Kathmandu. Hundreds of married and unmarried women in the Himalayan nation have started a month-long fast in the hope of a prosperous life and conjugal happiness. 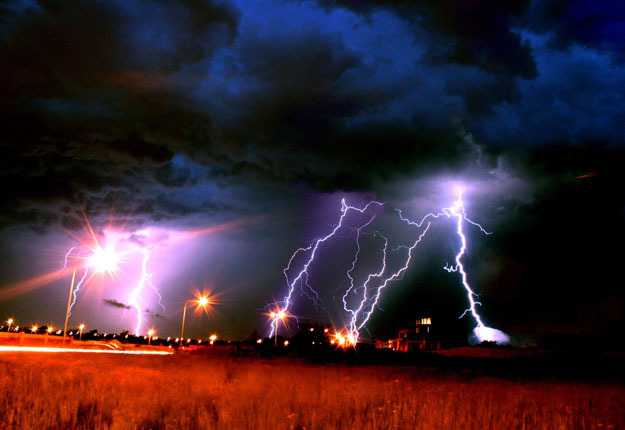 A recent thunderstorm over Centurion, Pretoria. Some riders wait for the subway in their underwear as they take part in the 2012 No Pants Subway Ride. The goal was for riders to get on the subway train dressed in normal winter clothes (without pants) and keep a straight face. Indian middle order batsman was in trouble in Australia for showing his middle finger to the crowd in the day two of the second test match against the home team. Kohli was out of control when crowd were saying bad about his mother and his sister. Erin Langworthy, 22, from Australia was on holiday on New Year's Eve when she took a 111-metre bungee jump from the Victoria Falls bridge above the river, which borders Zambia and Zimbabwe. 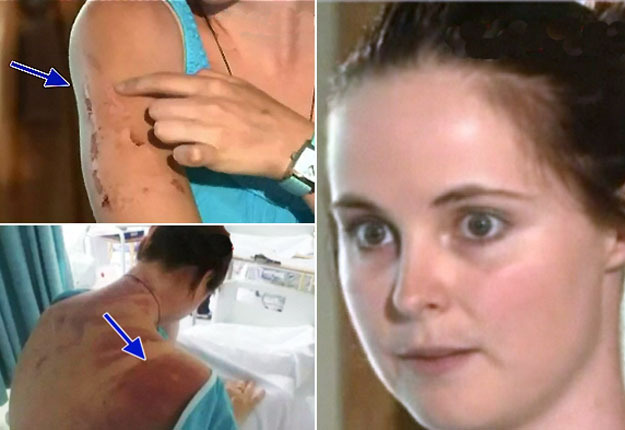 The bungee jumping cord snapped, plunging her head-first into the raging crocodile-infested waters of the Zambezi River, described her "miracle" survival. 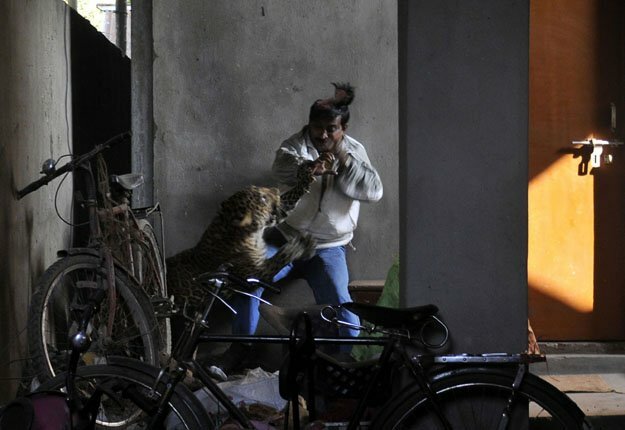 A leopard attacks and wounds a man in a residential neighbourhood of Silphukhuri area in Guwahati. Three people were seriously injured in the attack before the feline was tranquilized and taken to Assam state zoo. 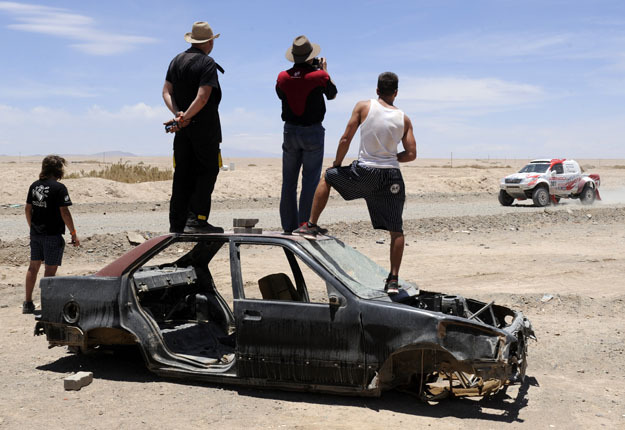 People look at South African driver Giniel De Villiers on his Toyota during the stage 8 of the Dakar Rally 2012 between Copiapo and Antofagasta, Chile . Volunteers stand and read the morning newspaper while "waiting for the bus" at Henley Beach in Adelaide, Australia. 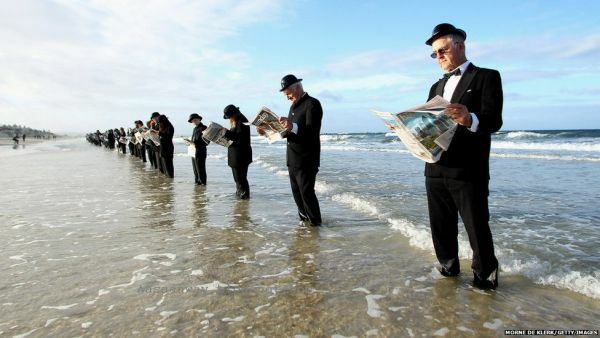 Surrealist artist Andrew Baines recruited 100 volunteers for this human installation, meant to illustrate corporate workers enjoying nature rather than waiting in a long queue for a trip to work. 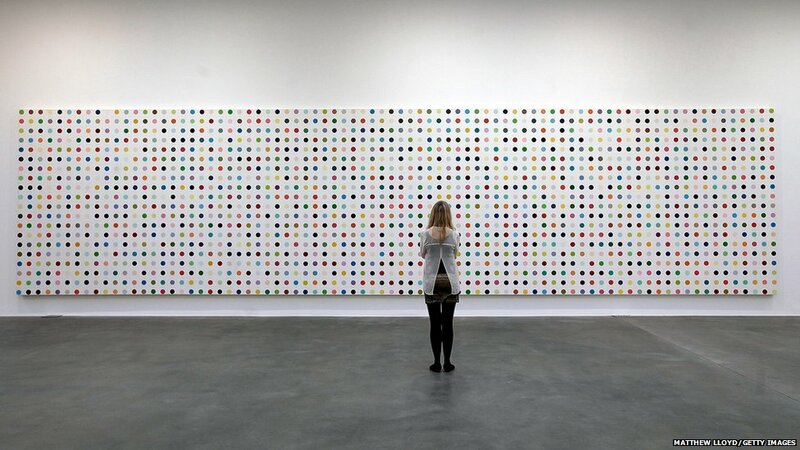 L-Tyrosince-15N, 2001 by Damien Hirst is on show at the Gagosian Gallery in London, England. An exhibition of his work is taking place in the gallery's 11 locations across the world, with more than 300 paintings bring lent by private individuals and public institutions. 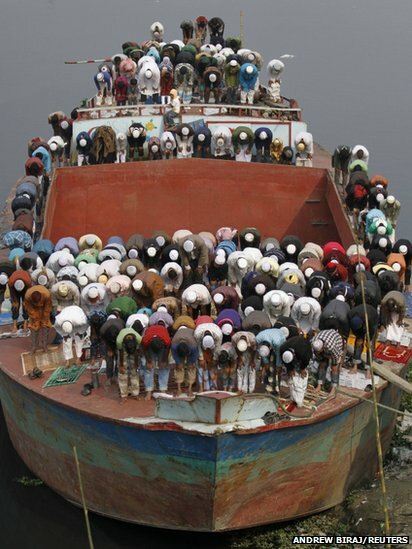 If you like my collection then please comments.